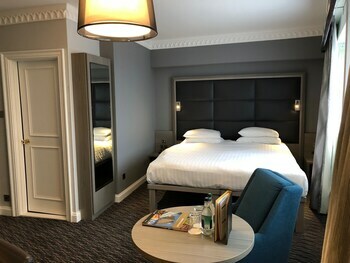 This modern hotel is adjacent to the International Convention Centre and 150 metres from Birmingham Museum and Art Gallery. The daytime staff were quite rude , you could just sense an aura around them. Busy however was handled properly- there was an open till which someone else could of started taking bookings however one man was left to deal with the queue. Apart from that everything was excellent ! Night time staff was lovely went out their way to help sort out the television in my room ! Expensive mini bar/snacks/chocolate. Pleasant check in and out. Where to find Birmingham hotels near an airport? How can I find hotels in different Birmingham neighborhoods? Where can I find hotels in Birmingham that are near tourist attractions? Planning a trip to Birmingham? There's a wide range of hotels for travelers to choose from. Expedia's extensive database lists 84 places to stay within a 0.1-kilometre (0.06-mile) radius of downtown Birmingham. The Staying Cool at the Rotunda and Hotel La Tour are among the most centrally located accommodation options in Birmingham. 11 kilometres (7 miles) from the center of Birmingham is the hotel-rich neighborhood of Solihull. This boasts 21 places to stay. 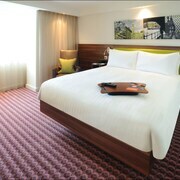 Some good accommodation options in Solihull include the Hogarths Hotel and Forest of Arden Marriott Hotel & Country Club. 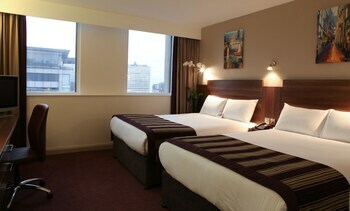 Tourists will also find good hotel establishments in Birmingham City Centre. This accommodation neighborhood is 0.3 kilometres (0.2 miles) from the center of Birmingham. 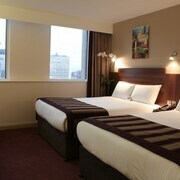 Some of the better known Birmingham City Centre hotels include the Hyatt Regency Birmingham and Hotel Indigo Birmingham. Another place you could stay is Dudley. Dudley offers the Village Hotel Birmingham Dudley and Station Hotel. 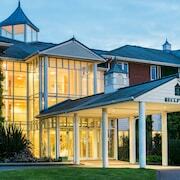 Or, you could try Sutton Coldfield, where you'll find the New Hall Hotel & Spa and The Belfry. Walsall is 16 kilometres (10 miles) from Birmingham's downtown, while Wolverhampton is 20 kilometres (12 miles) from the center of Birmingham. The Fairlawns Hotel and Spa and Village Hotel Birmingham Walsall are in Walsall, while Patshull Park Hotel Golf and Country Club and The Mount Hotel & Conference Centre are in Wolverhampton. Birmingham is well known for the Bullring Shopping Centre. The SACO Birmingham - Brindleyplace and Comfort Zone Parkside Apartment Hotel Birmingham, are all within easy walking distance from Bullring Shopping Centre. 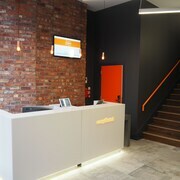 The ibis Styles Birmingham Hagley Road (Opening November 2016) and also the Birmingham Marriott Hotel are both within a short walk from the Birmingham Botanical Gardens, while the Staycity Aparthotels Arcadian Centre and The Crowne Plaza Birmingham City Centre are located near the Victoria Square. The Alexandra Theatre, another popular Birmingham attraction, is walking distance from the The PostBox by BridgeStreet and the The Spires Birmingham. 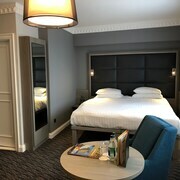 Accommodations near the Birmingham Cathedral include the Radisson Blu Hotel, Birmingham and the Macdonald Burlington Hotel. Birmingham Airport is a convenient airport for accessing Birmingham. It is 11 kilometres (7 miles) away. 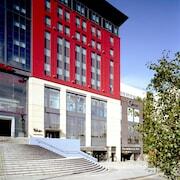 If you choose to stay nearby, try the Crowne Plaza Birmingham NEC or Hilton Birmingham Metropole. What are the most popular Birmingham hotels? Are there hotels in other cities near Birmingham? What other types of accommodations are available in Birmingham? Explore Birmingham with Expedia.ca’s Travel Guides to find the best flights, cars, holiday packages and more!